The Postal Service will come out with a line of clothing and accessories in 2014. The United States Postal Service has been delivering mail in rain, snow and gloom of night for hundreds of years. Now, as the agency struggles to find revenue sources, it's hoping to bring you something to wear. On Tuesday, the agency announced plans to come out with a line of clothing and accessories, called "Rain Heat & Snow." It licensed its unofficial motto to Cleveland-based fashion apparel company Wahconah Group, Inc., which will design the line of accessories and apparel. It's a win-win for the cash-strapped Postal Service, which will get "a small percentage of sales," according to Isaac Crawford, CEO of the Wahconah Group. He said the agency won't have to pay a dime to produce the line; his company will finance it. Rain Heat & Snow will release a line for men by spring 2014, which will be sold in premier department and specialty stores. A line for women is also in the works. The line will feature all-season, all-weather gear with the latest technology such as sweat-wicking fabric and jackets that can sync up with MP3 players, and also includes coats, head gear and footwear, according to Roy Betts, an agency spokesman. The product line comes at a time when the agency is in dire need of other revenue streams. Earlier this month, the Postal Service reported a $1.3 billion loss for the three months ended Dec. 31 and announced that most Saturday mail delivery will end this summer. 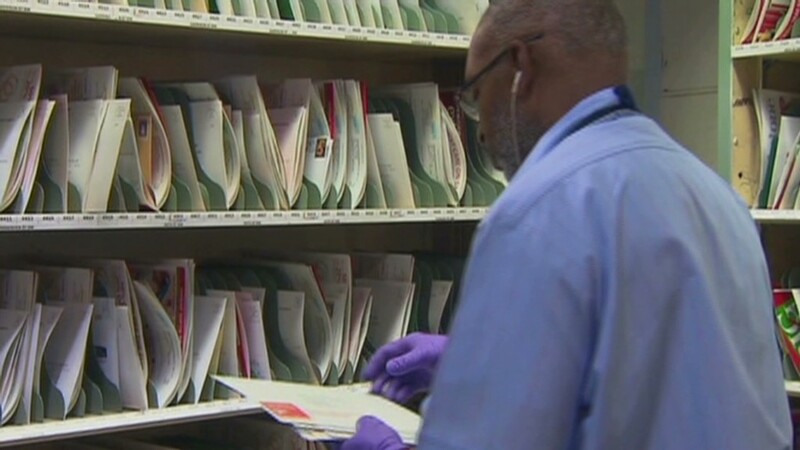 Over the last year, the agency has also had to cut post office hours, consolidate postal plants and create its own healthcare program for employees in order to stop the bleeding. Many of its money problems stem from a 2006 congressional mandate that required it to pre-fund healthcare benefits for future retirees. It's been borrowing billions of dollars from taxpayers to make up for the shortfalls. The Postal Service is, by law, an independent establishment of the executive branch. The agency doesn't normally use tax dollars for operations, but it has exhausted a $15 billion loan from Treasury. "We're looking at ways we can generate revenue, and we think this clothing line will have market appeal," said the Postal Service's Betts. This isn't the first time the Postal Service has made a foray into the fashion world. In the 1980s, the agency sold all sorts of branded goods -- neckties, t-shirts, posters and coffee mugs -- with images of postage stamps on them. The merchandise, sold in post offices for nearly a decade, was a hit. 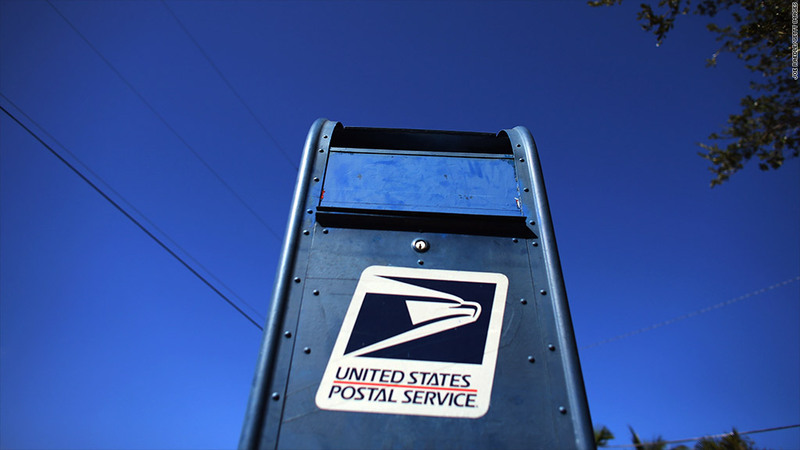 But Betts said they had to stop selling the goods after lobbyists argued to Congress that the Postal Service's function was just to process mail and sell stamps. Congressional limitations have held the Postal Service back from developing new sources of revenue many times over the years. U.S. lawmakers regulate everything from stamp prices to whether the agency can sell gift cards or ship alcohol, which keep the agency from developing new ways to generate cash. Betts says selling the new merchandise at department stores will hopefully avoid the backlash and stipulations. Branding experts say the new line could mean a lot of money for the agency. "Novelty merchandise is big business. Everyday people shell out their hard-earned bucks for something branded that reflects their identity, passions and opinions," said Karen Post, president of the consultancy Brain Tattoo Branding. "[The Postal Service], like many brands...has a big family of supporters that count on it and appreciate its mail carriers." Both the Postal Service and the Wahconah Group are banking on that. "You're talking about an American legacy," Wahconah's Crawford said. "We're hoping it will be very successful."